MMM 11476-00000-10 2LED EYEWEAR | Springfield Electric Supply Co.
3M™ Light Vision™ 2 Protective Eyewear provides industrial safety eye protection while allowing the wearer to work hands-free thanks to LED lights on the temples. The bright LED lights swivel to allow the beam to direct to wherever it is most needed. By having the lights built into the safety eyewear, it frees a hand from needing to hold a flashlight, keeping both hands available for on-the-job tasks. This protective eyewear is perfect for indoor applications where light is dim and for outdoor applications at night. The lighting also assists in seeing better for fine detail work. Long lasting batteries provide up to 50 continuous hours of service. 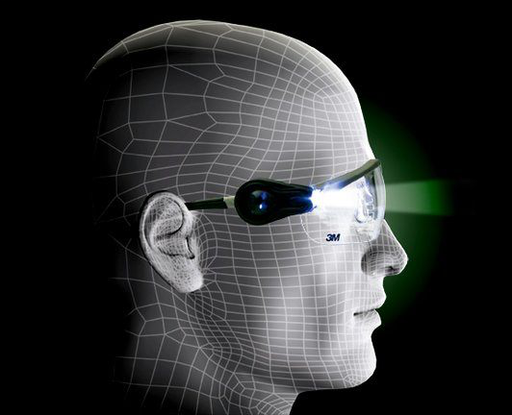 The hands-free lighting is an added feature to the primary purpose of providing eye protection. The impact-resistant polycarbonate lenses absorb 99.9% UV rays. A cushioned brow, nose bridge, and temple tips provide comfort for extended wear. This protective eyewear is recommended for the following tasks: assembly and mechanical, cleaning, electrical, fine assembly and detail work, inspection and repair, metal repair and painting. 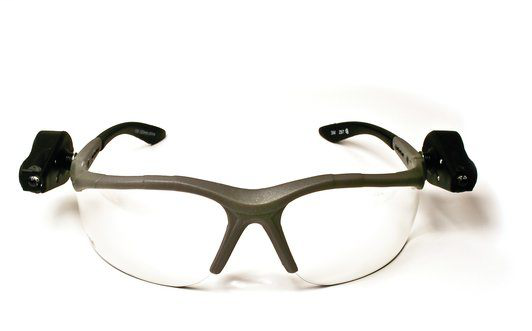 Industries in which these safety glasses are commonly used include construction, general manufacturing, military tactical, mining, oil and gas, and transportation. This protective eyewear meets the requirements of ANSI Z87.1-2015 . Eyewear comes with a storage bag and lanyard. Eye protection is important to safeguard your eyes and maintain healthy vision. According to the Bureau of Labor Statistics, nearly three out of every five workers who suffered eye injuries were not wearing eye protection at the time of the accident. Wearing the correct safety eyewear for the task and for the unique needs of the worker is important. 3M recognizes the need to design comfortable and attractive eyewear, increasing the usage of safety glasses on the job. 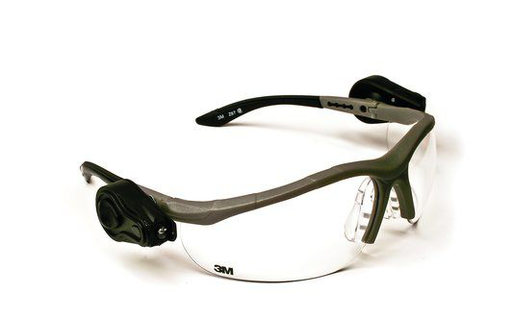 That’s why 3M Protective Eyewear combines safety features with comfort enhancements.